Manufactured in Italie from Circa 1946 until Circa 1950. This strange Italian box can not be separated from its case: it is glued to the housing! 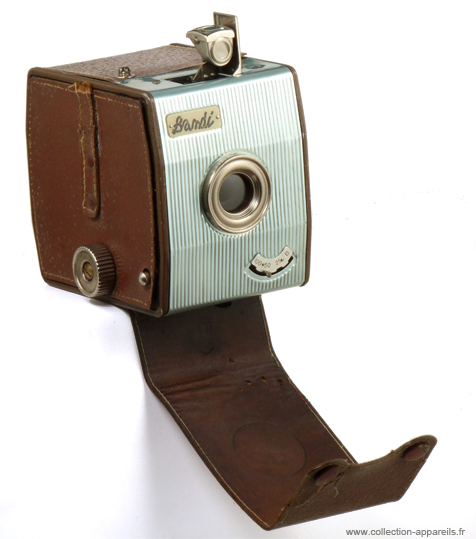 The viewfinder can be folded, its release is controlled by a button on its side. There are no adjustments of distances or aperture. Speeds go up to 1/100th of a second. A mechanism prevents from double exposure without having wand the film. The model name is stylized as a long tangled ribbon.